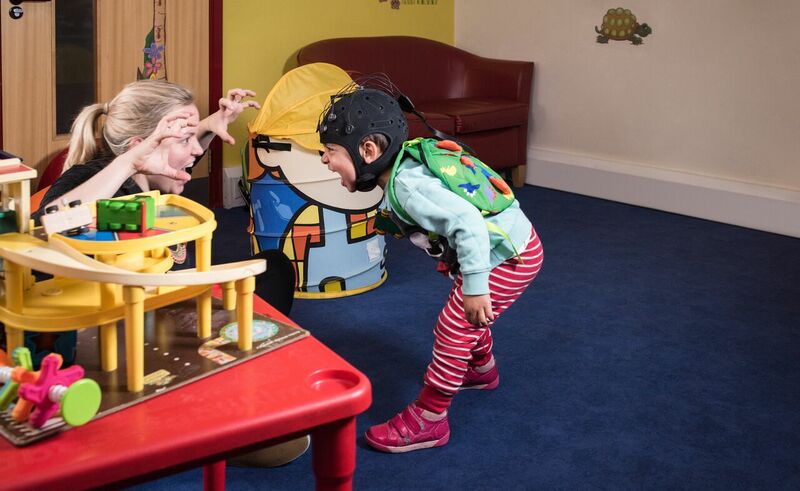 Birkbeck, University of London is building the world’s first ‘ToddlerLab,’ where scientists will monitor the behaviour and brain activity of children aged 18 months to three years. It will be part of the College’s Centre for Brain and Cognitive Development (CBCD), where the ‘BabyLab’ is currently based. The CBCD’s BabyLab has been investigating the psychological processes in infants’ brains for the past 20 years and they have uncovered major insights into child development. The BabyLab scientists have previously identified the earliest marker of autism in babies, found important links between Down’s syndrome and Alzheimer’s disease and found that screen time affects the sleeping patterns of babies as young as six-months-old, among other world-leading research projects. The ToddlerLab will enable researchers to extend their learnings from babies to toddlers. It will be equipped with wireless motion trackers, ‘hairnet’ sensors to record brain activity and a ‘nap lab’ to monitor the effects of sleep on brain activity. Birkbeck is currently crowdfunding to provide this equipment. One cutting-edge piece of technology the ToddlerLab will include is the CAVE: an audio-visual, immersive, virtual reality, environment. This can transport toddlers to different surroundings to see how they react to different scenarios and stimuli. Professor Mareschal continued: 'Seeing how children react to different environments is very important because many toddlers will only be detected as having disorders when they go to school and they have to interact with their peers. Having lots of other children around brings out the difficulties these children have in engaging what others are thinking and how to respond to them. Find more on the work of BabyLab in our archive, particularly this piece.